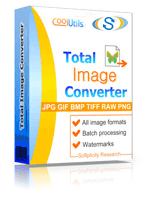 Total Image Converter offers a very simple way of converting PNG files and combining them into one big TIFF file. With this converter, you do not need to open and reopen numerous folders. Just open the interface, click on a memory folder, check PNG files and apply required options and parameters. Even if you have never used this utility before, you will not have any difficulties using it. The interface actually tells you what you should do to combine PDF images into one TIFF file. This converter features command line option, which allows you to operate the program without launching the interface. 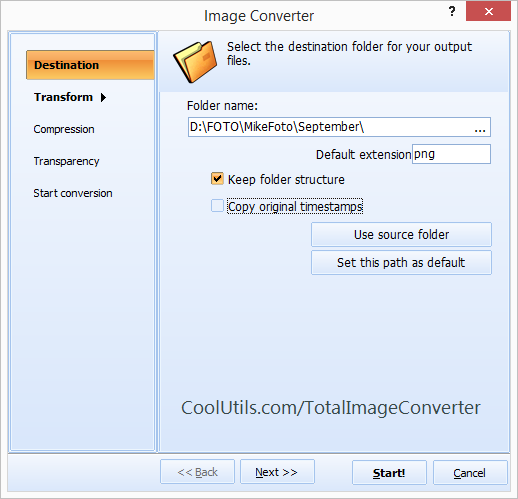 Total Image Converter integrates with the OS and therefore can be launched from the desktop. Launch the interface and select the folder with your PNG images. View the list of images to the right of the file tree. Images can also be displayed as thumbnails, so you can see the exact images, which you need to process. To specify the ones that you are going to convert and combine into a single TIFF file, check them out. Open the Select Destination tab and tick the combine images into one document option. And use macro in the file name, if necessary. Select Range and group your files in your preferred way. In the Transform tab, check the Crop, Resize and Rotate options and select one if necessary. Specify the photometric interpretation for your TIFF file. Apply your preferred color space. Specify a watermark and select its position. Set logo and frame. View the settings that you have just made in the Start Conversion tab. Press the Start button to launch conversion. 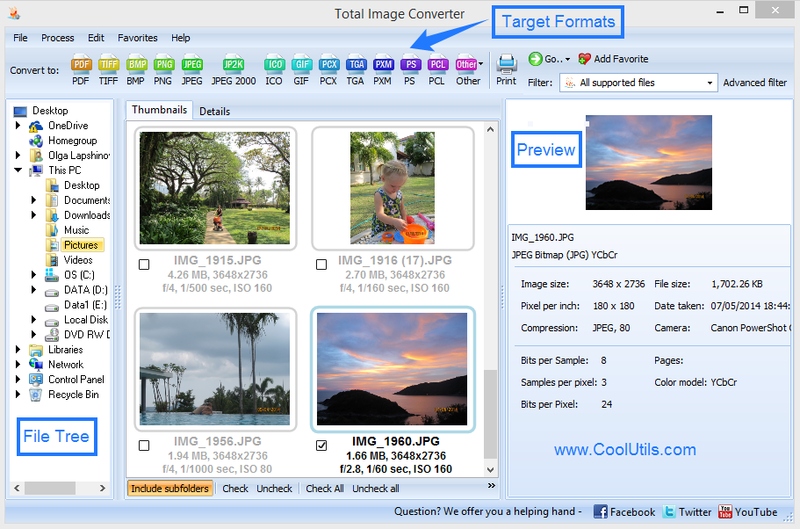 If you would like to test this utility and combine PNG into TIFF prior to buying it, use the 30-days free demo version.